Find answers to common questions about the Wisconsin Historical Markers program. 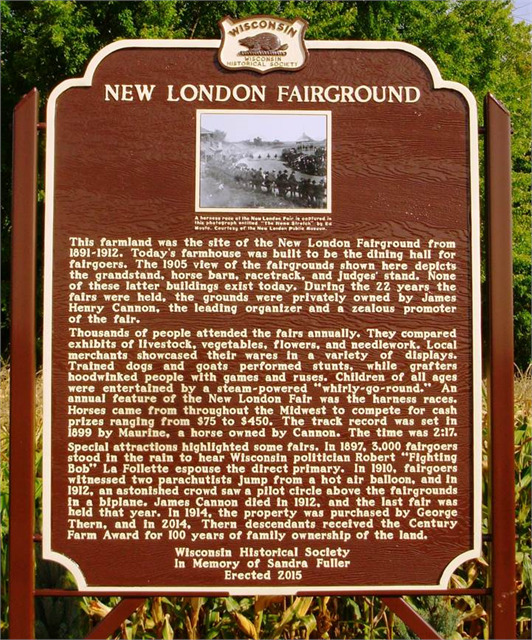 Where can I find the Official List of Wisconsin Historical Markers? 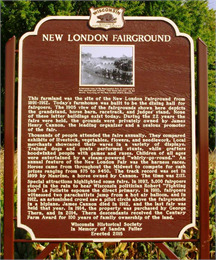 The Official List of Wisconsin Historical Markers is published by the Wisconsin Historical Society. Each marker listed includes its official marker number, official name and location, and a map index code that corresponds to Wisconsin's official state highway map. I noticed that a marker is missing or damaged. Whom should I contact? To report a marker that is missing or damaged, contact Rick Bernstein. Please provide the date, the title of the marker and its location. Make sure the marker has an emblem of a badger on top (otherwise it is not an official Wisconsin State Historical Marker). We will try to locate the original applicant, who is usually the party responsible for any maintenance. My marker is in need of restoration. Whom should I contact? All marker applicants agree to be responsible for maintenance of the marker in perpetuity. For those who would like to see their markers repainted, SEWAH Studios, the manufacturer of all of Wisconsin's State Historical Markers since 1951, offers that service. For more information, click here. How many official historical markers are there in Wisconsin? 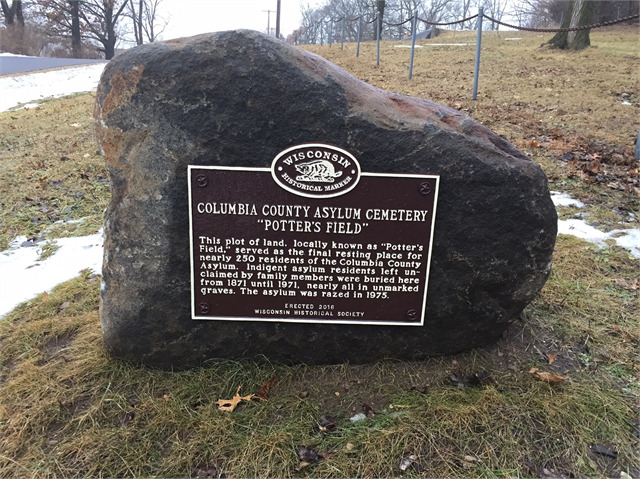 Currently there are approximately 575 official state markers in Wisconsin that carry approved text commemorating sites, individuals, buildings, or events of local, state or national significance. One-Sided Large City Marker, 36"x24"
Maps, photographs, logos, and other graphics can be added to markers for an additional fee. How much do state historical markers cost? Markers are available in a variety of sizes, fonts and prices. The cost can be as much as $5,030 (plus installation costs) or as little as $400 for a standard State or National Register of Historic Places plaque. The applicant must be able to pay for the cost of the marker, agree to maintain it in perpetuity and have the permission of the landowner where the marker is to be erected. Find current pricing and more application details in the Historical Marker Price List. Who can apply for a state historical marker? 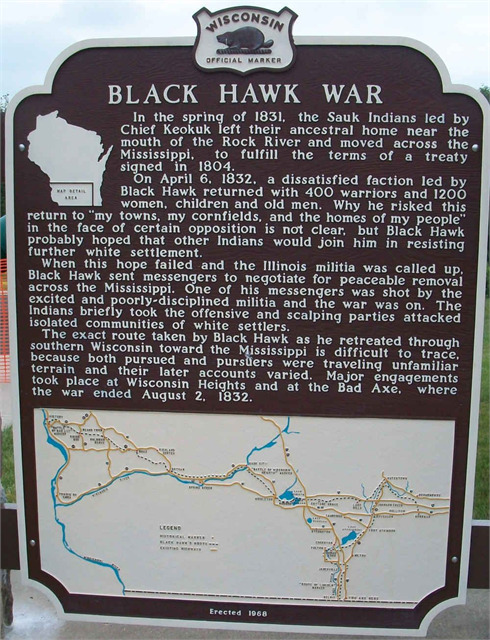 Anybody can apply for a marker as long as the topic addresses an aspect of Wisconsin's history. An application form must be completed for every historical marker desired. Learn more about how to apply and who to contact at How to Apply for a Historical Marker. How long does it take to get a marker? The marker text requires the approval of several different Wisconsin Historical Society staff members. Please allow up to six months for us to review your application. After approval, the Society will order the marker from the foundry. Generally, the marker is cast and shipped to you within 12 weeks from the time your order is received. Wisconsin Historical Society staff review the text for the marker prepared by the applicant. Usually the first draft needs to be modified and is returned to the applicant with suggestions. Be sure to allow time for approval, especially if you are planning a marker dedication ceremony for a specific date. Once you and the Wisconsin Historical Society agree on the final version of the text, Society staff will place the order for the marker. What topics qualify for a state historical marker? Markers should describe one of the following aspects of Wisconsin's history: archaeology, architecture, culture, ethnic associations, geology, history, legends or natural history. 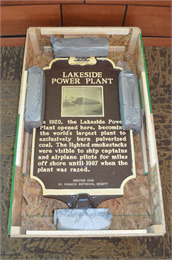 Your topic needs to meet one of the Criteria for a Historical Marker Topic and Location. You can also review the Official List of Wisconsin Historical Markers to see what types of markers have been approved in the past. If a property is listed in the State or National Register of Historic Places, does it automatically receive a plaque? No. You must order a plaque for the registered historic property directly from a vendor. Note: the plaques no longer require approval from the Wisconsin Historical Society. Several suppliers are listed below. This list is not a recommendation as other suppliers may exist. Eagle Sign and Design, Inc.
How can I determine if a property is listed in the State or National Register of Historic Places? To see if a property is listed on the registers, conduct a property record search on our Preserve Homes and Properties page. 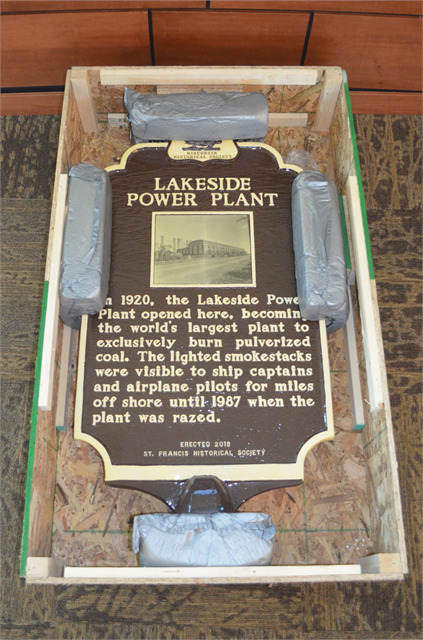 Who manufactures the Wisconsin Historical Markers and State Register of Historic Places plaques? 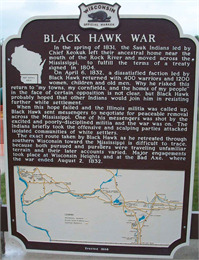 Wisconsin Historical Markers are produced by Sewah Studios. State Register of Historic Places plaques are manufactured by Colonial Brass Company. Custom State Register inscriptions are produced by Sewah Studios. More info about Sewah Studios.